How to check if you have Google+ account? 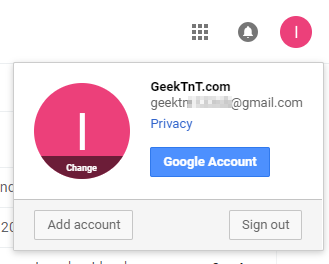 Here’s a simple way how to determine if you have Google+ account: go to Gmail and at the right side of the screen click on icon next to a bell (probably with your picture/avatar) and you’ll see a window like this with a link to your Google+ profile. 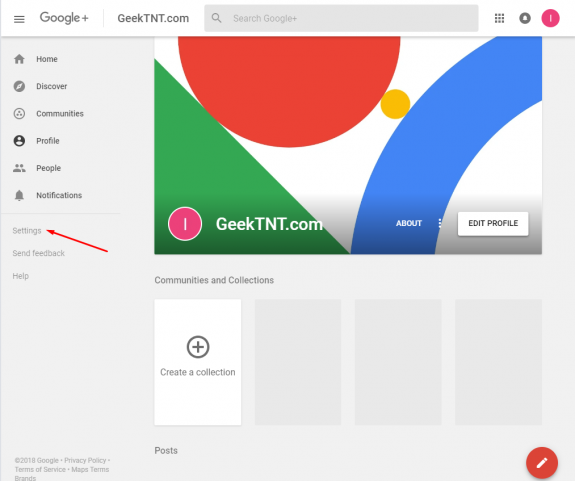 How to check if you already have Google+ account? 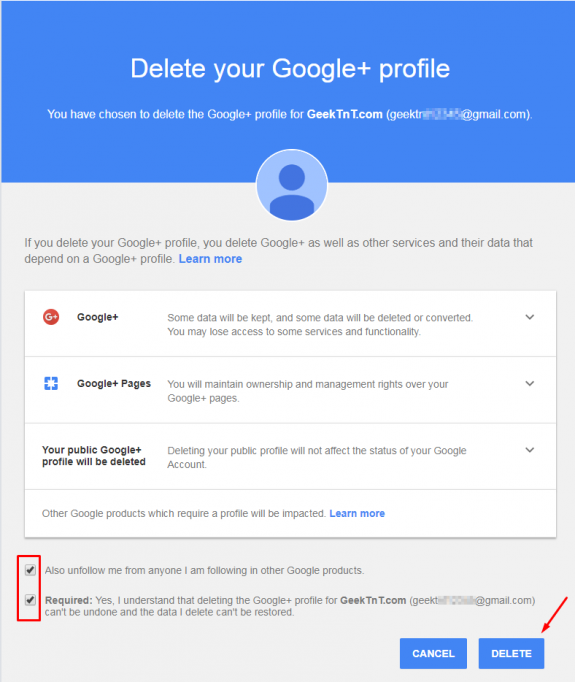 How to close your Google+ page and with all data stored? Apparently, sooner or later, Google+ will stop to exist. 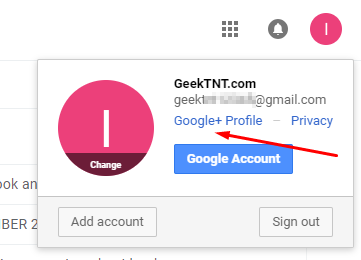 If you don’t use it and don’t plan to use it you can simply remove your Google+ account by following these simple instructions. 1. Clicking on that Google+ Profile link like on a picture above will take you to your Google+ page. If you haven’t used it at all, it should look like this. 5. This page will contain all the information you need to know about removing your Google+ profile so read it carefully. If you agree with everything written there tick these two boxes and click Delete. Note that deleting of your Google+ profile can’t be undone so once you delete it – it’s gone for good! Also, removing your Google+ profile has nothing to do with your Google or Gmail account. These are totally different things and it won’t affect your Google or Gmail account. 6. Once you have pressed the Delete button your Google+ account is gone! 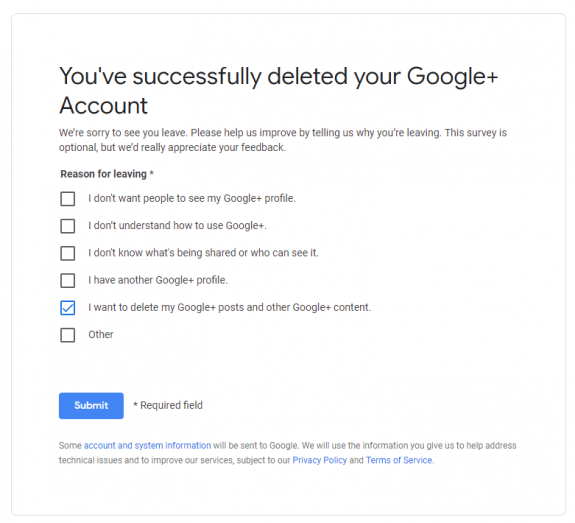 The page that follows is an optional survey where you can leave a feedback about why have you decided to remove your Google+ account.